About eight years ago, Camilla Hammerich and Adam Price began work on a TV series expected to have limited appeal outside Scandinavia. Borgen, the series about Danish politics and politicians, has been a big hit in over 70 countries. Now Camilla Hammerich has written the inside story on how Borgen came to be. 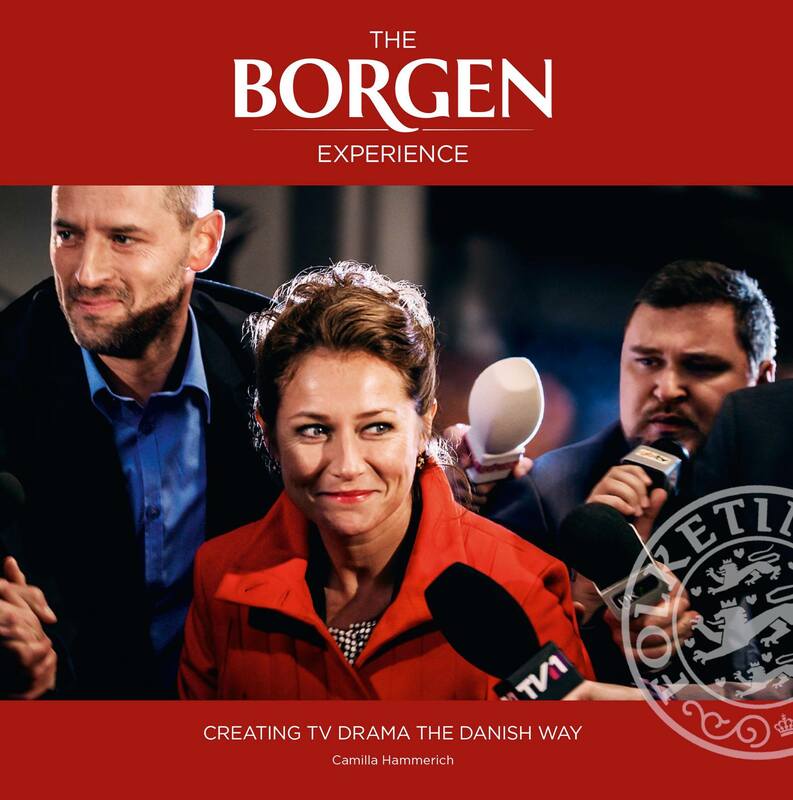 And, just like the TV series reached beyond its obvious audience, The Borgen Experience is more than a series of anecdotes aimed at diehard fans of Birgitte Nyborg. This is the definitive work on how a high-end TV drama is put together. The reader of this plush volume takes a privileged seat in the Borgen production office, and assumes the role of Hammerich’s confidant. You’re there as the team develops their vision, there as they deal with problems, make big calls or dig their heels in. The producer is far too discreet to dish the dirt on her colleagues but reading between the lines you can tell where some of her frustrations lay – generally at faceless DR bigwigs, though there is an amusing transcript of text messages to and from Adam Price as he sails past a deadline without filing a revised script. Many ‘behind the scenes’ books include interviews with other protagonists. This book doesn’t, but Camilla Hammerich’s role at the centre of everything means that the reader doesn’t, in the main, have a sense of missing out. There are detailed chapters on topics from casting, set development and script editing to TV graphics, all lavishly illustrated with on-set photography, experimental graphics, plans and charts, and the occasional script for a deleted scene. Fascinating and comprehensive. We learn why there is rather more CGI than you would usually expect for a political drama, which artists’ families won’t let their works be used on set, where not to film in Copenhagen if you want a warm welcome, and what not to say to your producer if you’re a runner. I highly recommend the book, although I have two and a half relatively minor quibbles. First, this beautifully designed publication, of over 300 pages printed on fairly heavy coated paper, should really have been a hardback. Second, although the book provides a very detailed explanation of how the writers developed their vision for the content of the show, there is relatively little discussion of the story arcs themselves. (Though many behind-the-scenes books of this type tend to be light on this kind of material.) More disappointing is that although some of the technical chapters refer to series 3, a single chapter of just 23 pages is devoted to the series’ development and themes. Given that Hammerich herself describes the third series as ‘kamikaze’, it feels as though there is more to be said. This entry was posted on 26 October 2015 by Cafe thinking in Borgen, Nordic Noir, Reviews, TV, Writing and tagged Adam Price, BBC FOUR, Borgen, Camilla Hammerich, Nordic Noir.